For a West Coast Eagles fanatic! 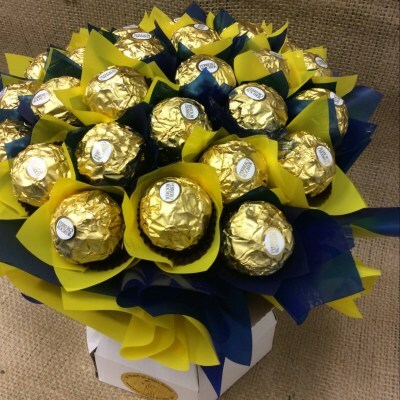 A Classic posy style chocolate bouquet. handmade using 30 ferrero rocher chocolates. Deluxe includes 40 chocolates.